We’ve been spending a glorious summer teaching hoop dance at YMCA out of school care programs all over Edmonton during the days, and we’re thrilled to be offering a few exciting evening hoop dance classes this August. There are still a few spaces left for these classes, but our beginner hoop dance class is sold out, and we won’t be surprised if these fill up quickly! Are you ready to take your off body twin hooping to the next level? This class will be full of drills, thrills and challenges for both the beginner and intermediate twin spinner. We will be exploring things like weaves, caps, flowers and more! 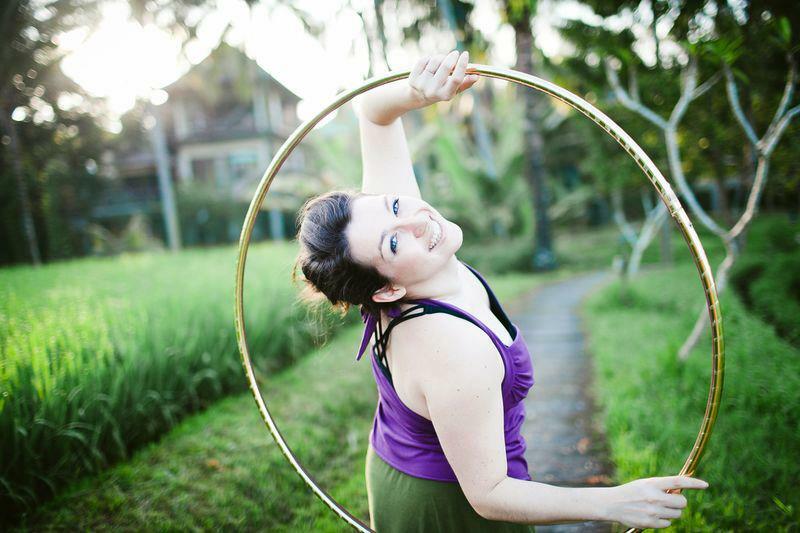 This multilevel hoop workshop is all about adding a little more pizazz to your practice. Axis flips, twists, Z-spins and folds all add dynamic flair to your movements, and will seriously spice up your transitions between planes. In this play shop, children aged 8-12 will be introduced to both on and off body hooping and will also be taken through a series of movement exercises and games that are designed to gain them proficiency in hoop dance while exploring creative movement and storytelling with their hoops! This workshop is suitable for all levels.